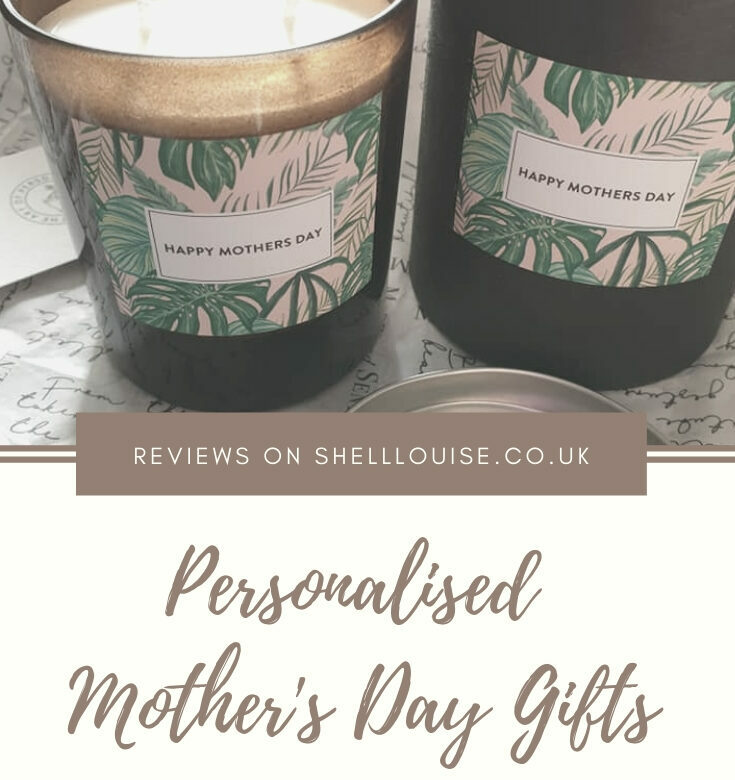 Just two days ago I was invited to review a personalised Mother’s Day item from Made and Sent. Today, I’m sitting in my living room enjoying the wonderful fragrance of fig and pomegranate emanating from a lovely candle. The candle has only been burning for around an hour and the gorgeous smell has filled this room and is now making its way up the stairs! When I first visited the website I was going to order the personalised Mother’s Day Hand Care set for either mine or Ant’s mum, but I’m afraid I ended up treating myself to the candle instead. Everyone knows how much I love scented candles! The candle arrived wrapped in printed tissue paper with a little sticker that said it had been handmade by Megan. I love getting things wrapped in tissue paper, it just makes it feel like a bit more care has gone into the gift. The candle itself was also wrapped in tissue paper and came packaged in a lovely cardboard display carton. This was further protected in a bubble wrap pouch. At this stage, I could have saved it and given it to my mum for Mother’s Day, but I just had to know what it smelled like! The order process was very fast and easy. You can choose 2 personalised messages to have on your candle. Post and packing is free if you’re in the UK. Your order will be made and shipped the same day if ordering before 2pm on weekdays. I ordered my candle on Friday and received it in Saturday’s post. I have to say, I was very impressed with the whole process. Please note: I was sent the candle in return for a review, however, all opinions are honest and my own.